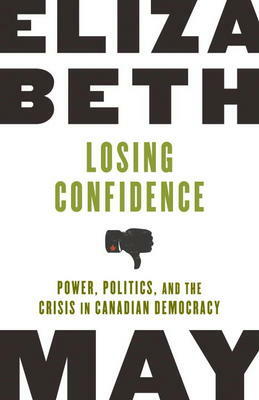 Tuesday evening on the 2nd of June Elizabeth May will be at Books on Beechwood from 6 to 8pm, to sign her latest book; “Losing Confidence: Power, Politics, and the Crisis in Canadian Democracy”. A ringing manifesto for change from Canadaâ€™s Green Party leader and Activist. We Canadians are waking up from our long political slumber to realize that there will not be change unless we insist upon it. We have a presidential-style prime minister without the checks and balances of either the US or the Canadian systems. Attack ads run constantly, backbenchers and cabinet ministers alike are muzzled, committees are deadlocked, and civility has disappeared from the House of Commons. In Losing Confidence, Elizabeth May outlines these and other problems of our political system, and offers inspiring solutions to the dilemmas we face. Elizabeth will also be signing copies of her recent book, “Global Warming for Dummies”. A hotly debated topic in the political arena and splashed across the media almost 24/7, global warming has become the issue of the moment. Whatever one’s views on its cause, there is no denying that the earth’s climate is changing, and people everywhere are worried. 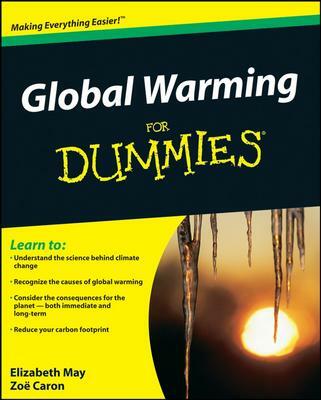 Global Warming For Dummies sorts out fact from fiction, explaining the science behind climate change and examining the possible long-term effects of a warmer planet. This no-nonsense yet friendly guide helps you explore solutions to this challenging problem, from what governments and industry can do to what you can do at home and how to get involved. Elizabeth May is an environmentalist, writer, activist and lawyer. She is the author of seven books and the recipient of numerous awards, including the Order of Canada medal. Since her 2006 election as leader of the Green Party of Canada, she has led the party to an unprecedented level of support among Canadians. May and her daughter, Victoria Cate, divide their time between Ottawa and New Glasgow, Nova Scotia.